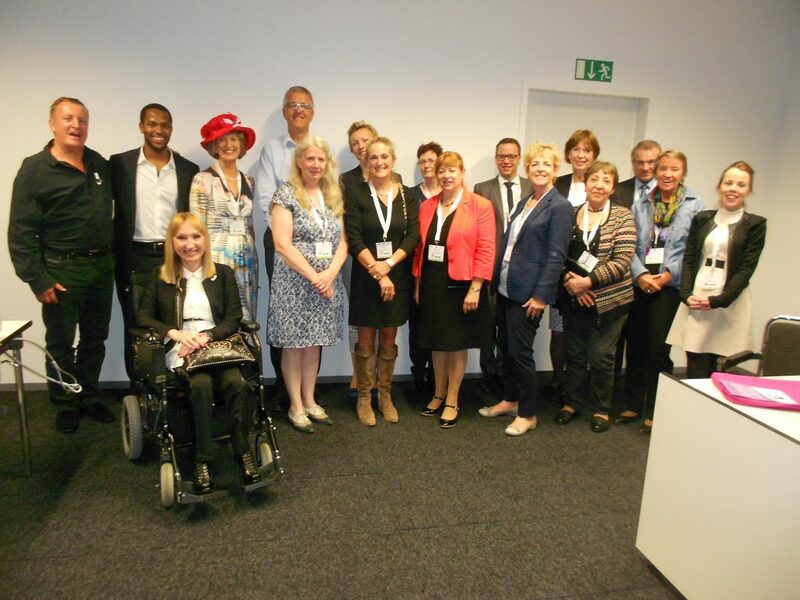 EAMDA co-operates with different European NMD associations and their representatives that have connections with local decision makers. In that sense, EAMDA is a member of different international associations such as: European Disability Forum (EDF), European Federation of Neurological Associations (EFNA), European Patients’ Forum (EPF) and EURORDIS – Rare Diseases Europe. European Federaton of Neurological Association (EFNA) is an umbrella group representing pan – European so-called neurology patient group. EFNA slogan is: ”Empowering Patient Neurology Groups”. They strive to add capacity to their members – allowing them to be the most effective advocates possible in their own disease specific areas. EFNA embraces the concept of Partnership for Progress – working at a high level with relevant stakeholders from the fields of policy, medical, scientific/research, industry, patient partners and other key leaders. The mission of EFNA is: To influence policy makers and legislators in Europe, particularly in the European Union, to prioritise resource allocation to reduce the burden for people living with a neurological disorder. The members of EFNA shall be European patient support organisations that uphold aims similar to those of EFNA and that are legally constituted following the laws and customs of their country of origin. For EAMDA is very important to be mutually connected with other European umbrella DPOs and scientific groups, especially in the times of the crisis which threatens to isolate us completely and destroy the work and results we have achieved so far at national as well as at international level. This would additionally influence the marginalization of persons with neuromuscular diseases and even more severe separation from the services that the society should provide for us, from scientific and other achievements which should improve the quality of our lives, as well from a possibility to connect mutually and exchange information, knowledge and experience which is also extremely important. As we know, according to the latest WHO data, about 80 million of persons with disabilities, that is about 15% of population, live in Europe. The greatest number of them is affected by this crisis directly. It is 3 times harder for persons with disabilities than for persons without disabilities to get employment and only 20% of them are employed. In addition to this, they have been also facing severe obstacles in education much more than population without disabilities. This, as well as many other factors, results in the fact that persons with disabilities are very much exposed to the risk of extreme poverty. EDF Crisis Resolution says that this has been the most difficult period for persons with disabilities after the World War II! All these reasons point to the extreme necessity of connecting the DPOs and persons with disabilities themselves with scientific groups, as one of the methods for confronting the further violation of our human right and for development in all fields.